Obama-Lance Futch: Utah man wears polo shirt to meeting with President Obama: Whoops (Photo). 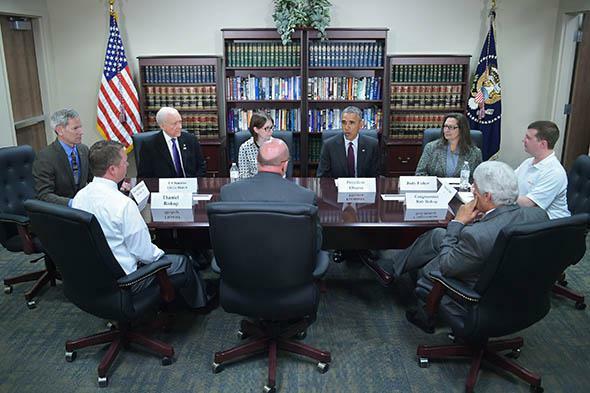 President Obama takes part in a roundtable discussion on clean energy at Hill Air Force Base in Utah on April 3, 2015. Can you spot the person who didn’t get the memo about who would be attending?